Mark owns a 1973 Dodge W100 Powerwagon. He traded his 1958 Willys CJ5 for this truck, with no regrets. It has a 360 with Thermoquad 4 barrel, 727 automatic transmission, divorced T-case, and lock out hubs. 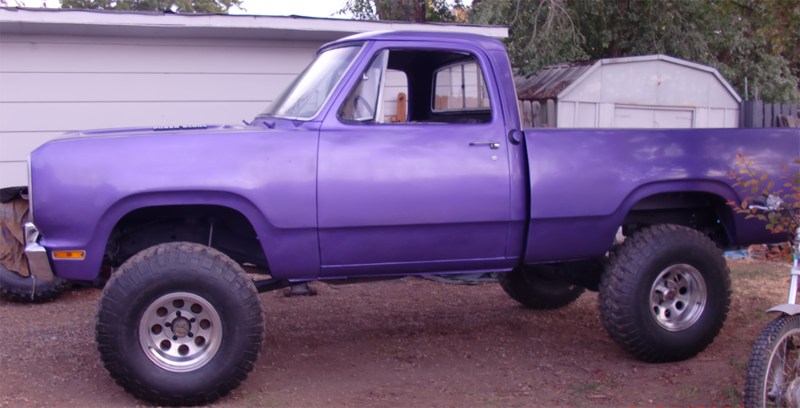 It has a 4 inch suspension lift with 35/12/50/15 BFG mud tires. 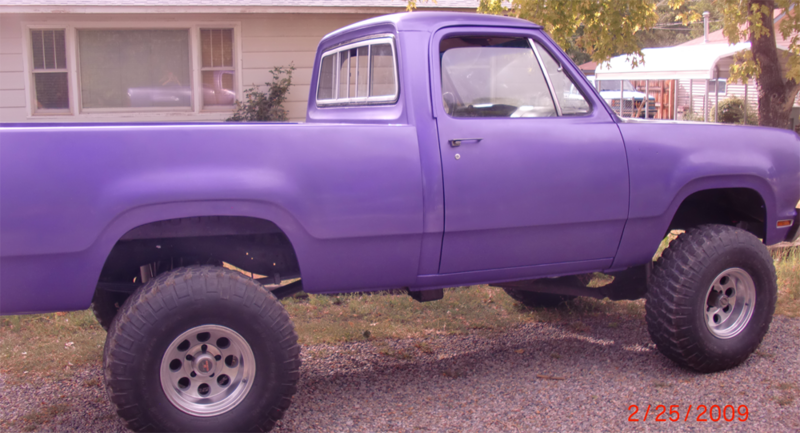 It is painted Plum Crazy purple. These trucks are hard to find, and Mark is glad he has one.